There’s a “newish” Italian takeaway, Hello Tomato. I say “newish” because they’re fairly unheard of yet they were established some time ago. I’m really not sure how this hidden gem has managed to stay so undetected for so long. 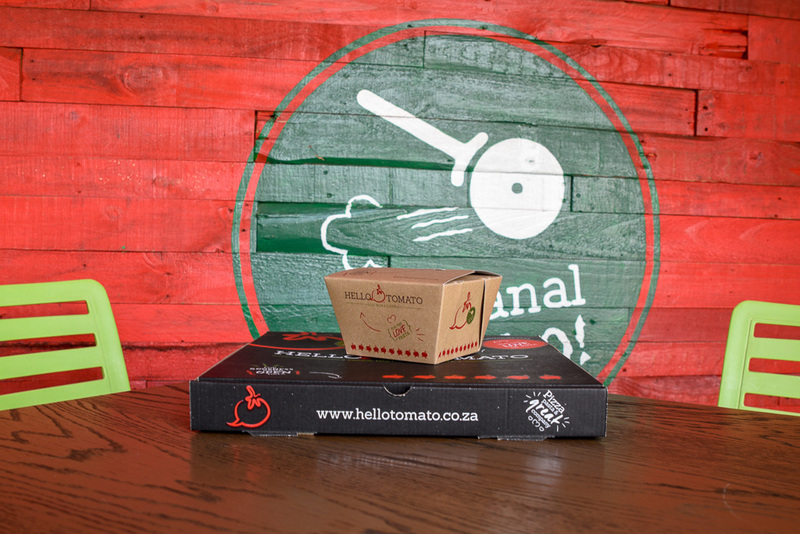 Hello Tomato is all about real, good, authentic Italian food that happens to be fast and convenient too. It’s so much more than just “fast food”. I visited their Bryanston branch, in the Riverside Shopping Centre just off of Bryanston Drive. On Sundays, they’re currently running a special. 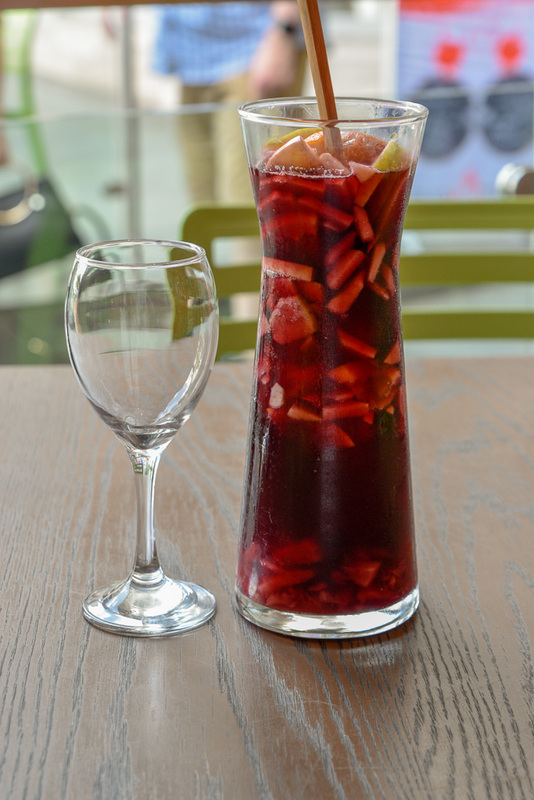 If you order two meals, you get a carafe of sangria on the house. So why not ;-) Seen as how it was a relaxed lazy Sunday, my benedict and I decided to sit down and browse through the menu before deciding on our meal. 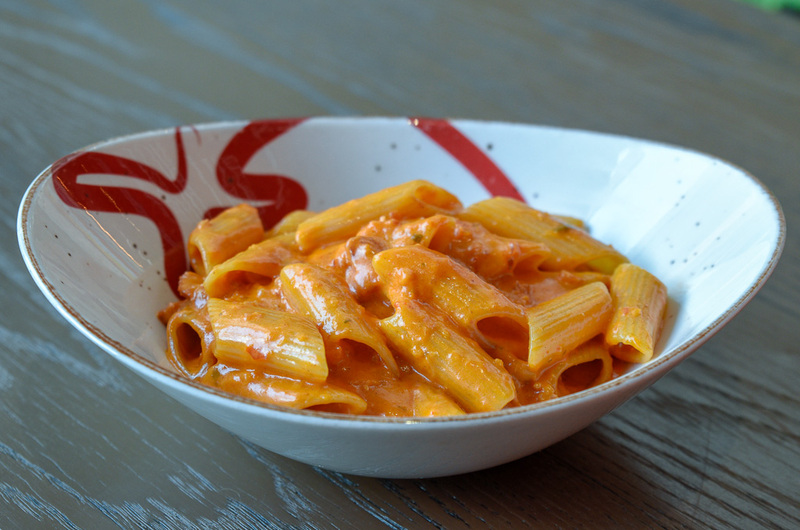 I’d spotted one of the pastas being served to another table… so I’d already committed to a pasta. I went with our waiter’s recommendation and opted for the ‘Notorious P.I.G’. This was bacon served in a creamy Napolitano sauce with wine and chilli generously coating my penne pasta. And O.M.G. the Notorious P.I.G certainly was fantastic! The pasta was fresh and perfectly cooked al dente while the sauce was absolutely amazing and ever so flavourful. My benedict opted for the ‘Mary had a little lamb’ pizza. 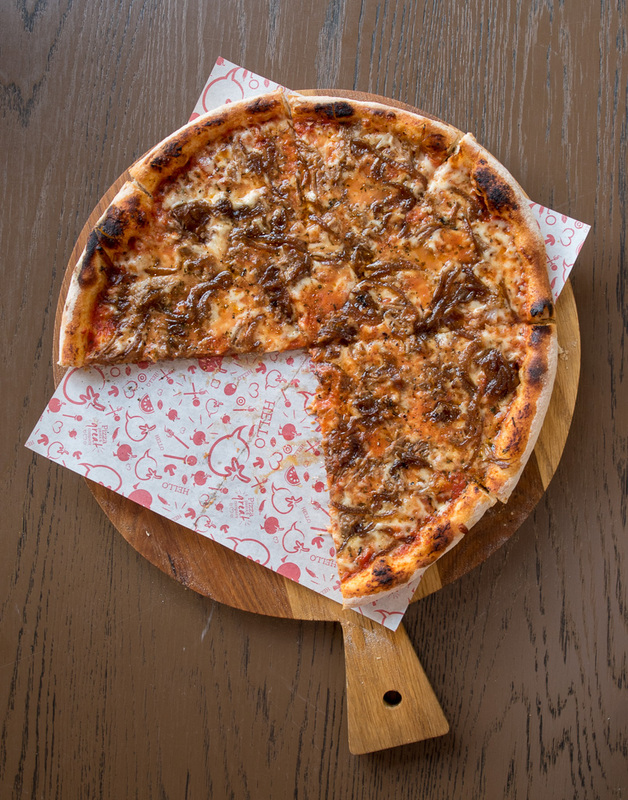 This pizza was topped with slow cooked lamb, caramelised onion, garlic, rosemary and mint sauce. Another amazing meal. The rosemary and lamb aroma hit you as soon as the pizza was served. 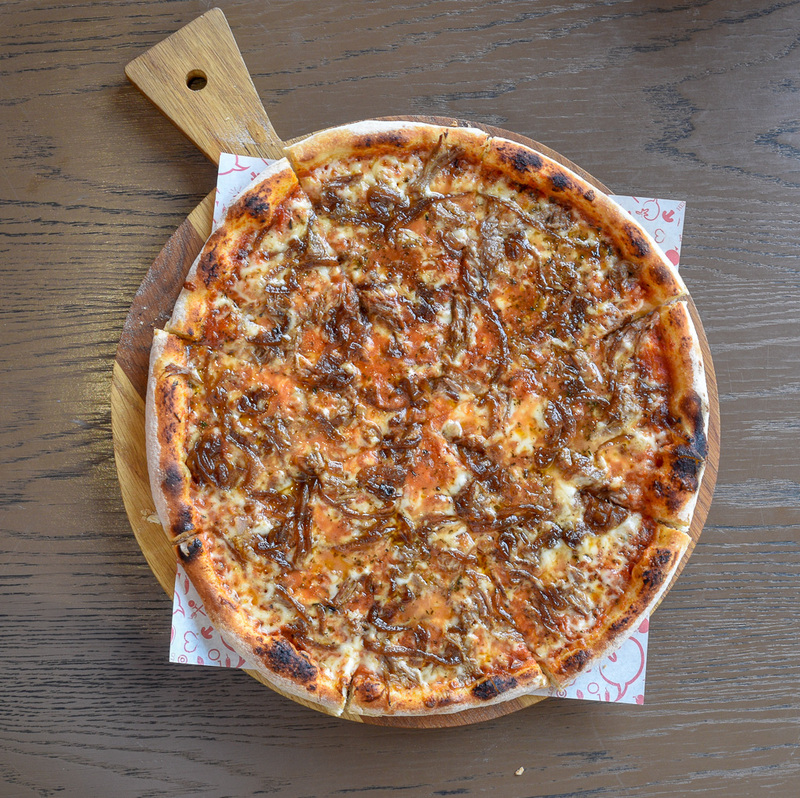 It was the epitome of a Sunday roast on a pizza. A real treat! 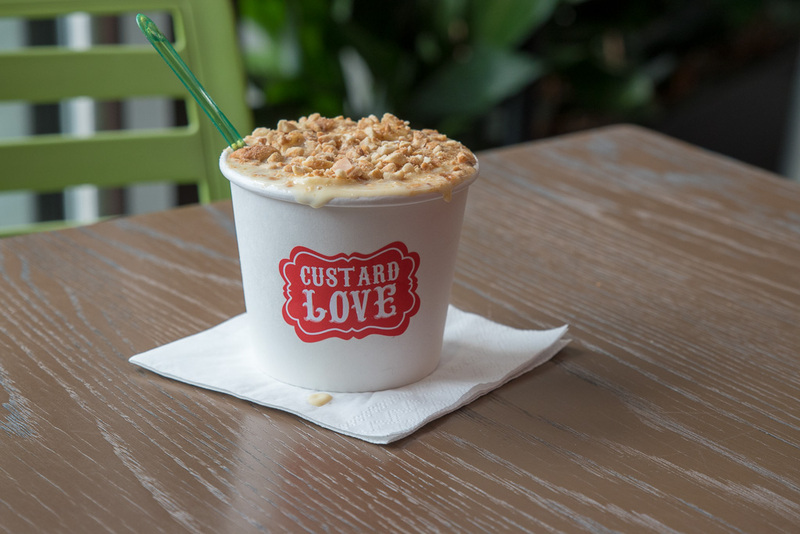 Hello Tomato is well known for their ‘concretes’ – frozen custard desserts. 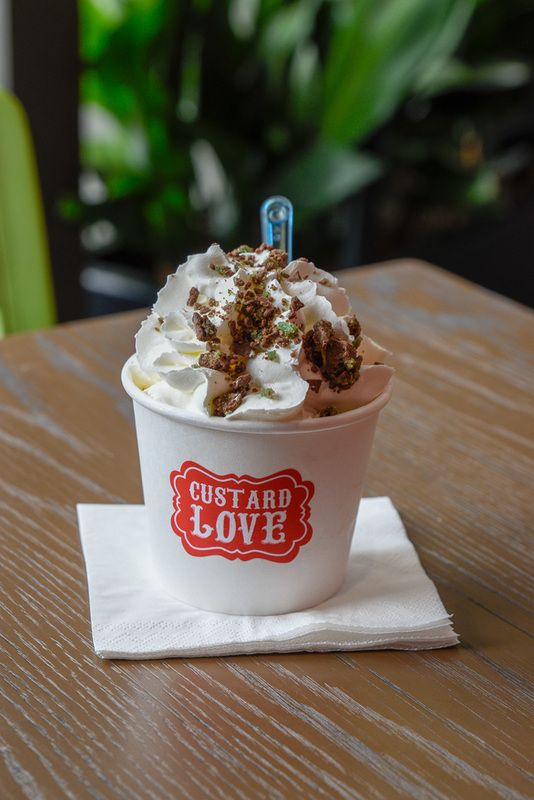 I tried the ‘peppermint crisp pud’ frozen yoghurt – one of the newly introduced concretes – comprising of vanilla custard, tennis biscuits, caramel, peppermint crisp and dessert cream. My benedict selected the ‘banana banana’ frozen yoghurt which was vanilla custard served with banana, fudge sauce, chunky peanut butter and peanut brittle. They were delicious. A real treat for all the sweet and sugary dessert fans out there. I cannot say how glad I am to have stumbled upon Hello tomato. There’s nothing quite as comforting as a good hearty pasta… even more so when it’s such fantastic quality and so reasonably priced. The service too, is great. Very efficient. I’ve since been back twice for their Tuesday special… buy one get one free. It’s an absolute steal! While I’d like to believe my homemade pasta almost measures up to the one I tasted at Hello Tomato (especially after a glass of wine or two while cooking), I’m pretty sure no one else who’s tasted my cooking would agree ;-) So best I stick to Hello Tomato, for my Tuesday night’s Italian!